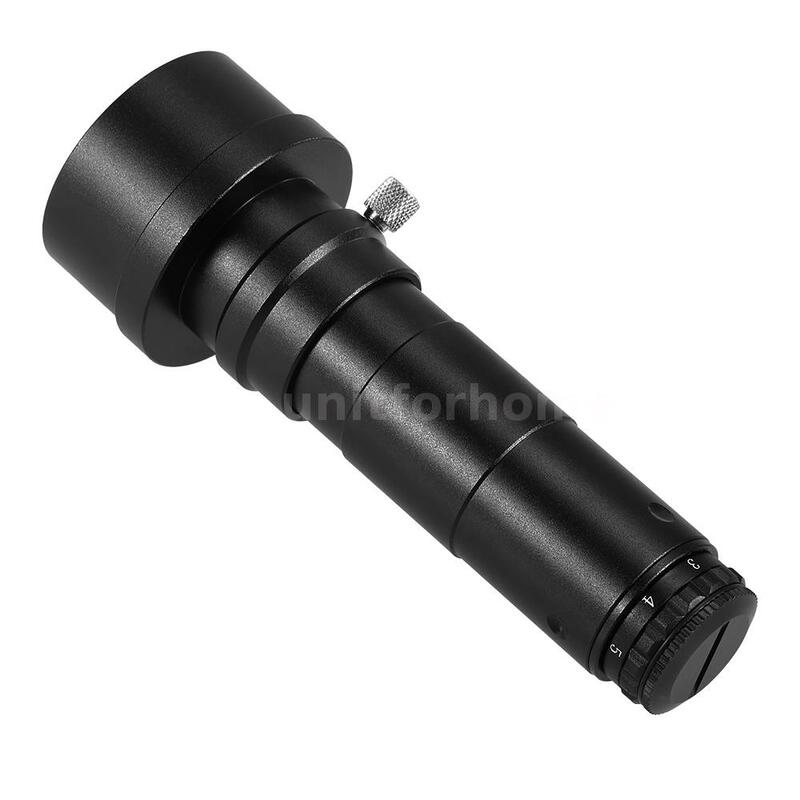 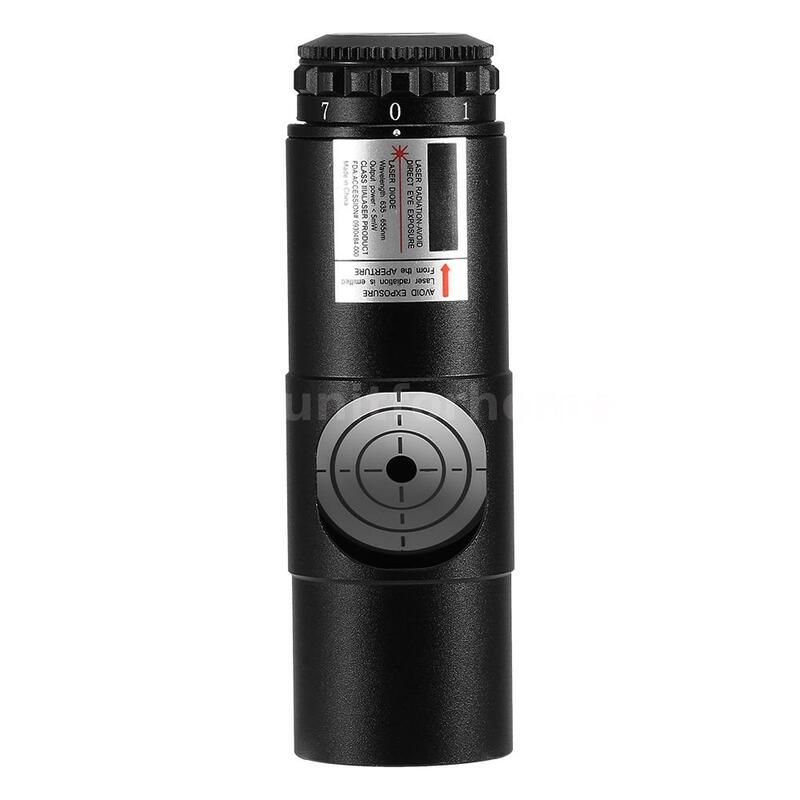 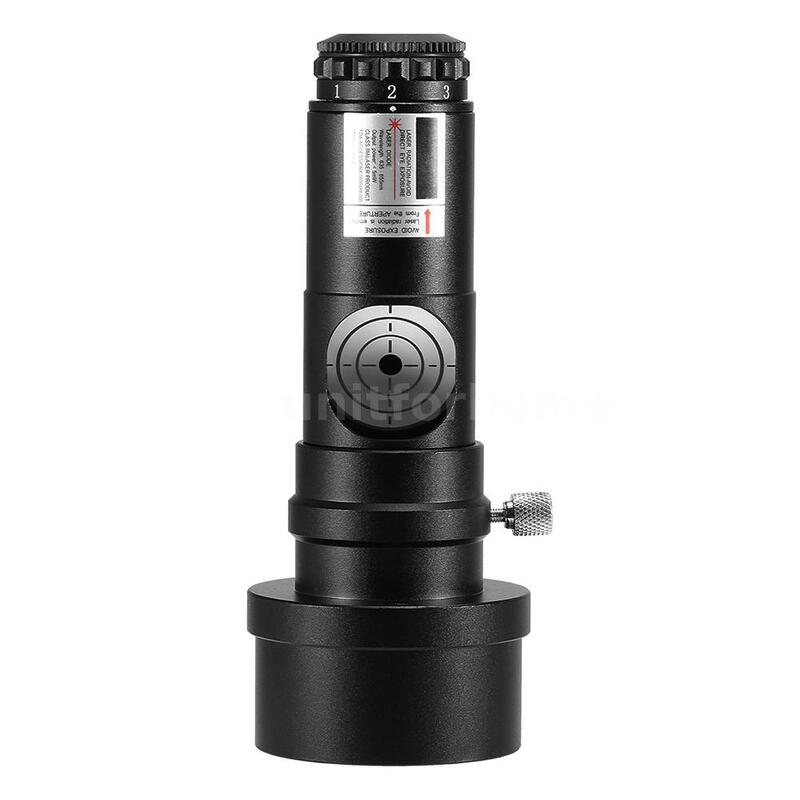 Come with a 2'' adapter, easy fit into 1.25'' or 2'' focuser, 7 adjustable brightness level. 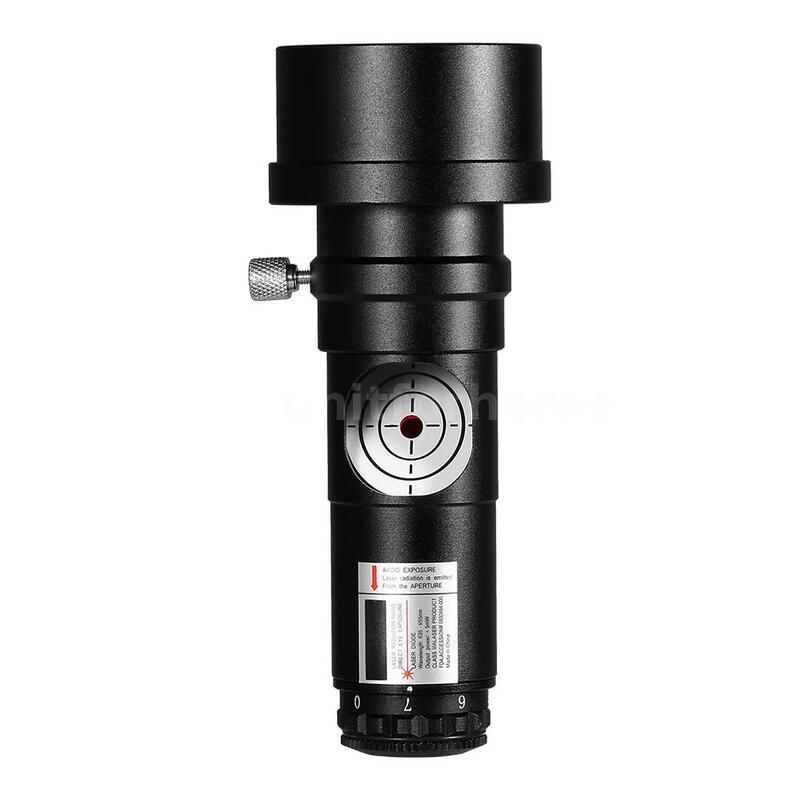 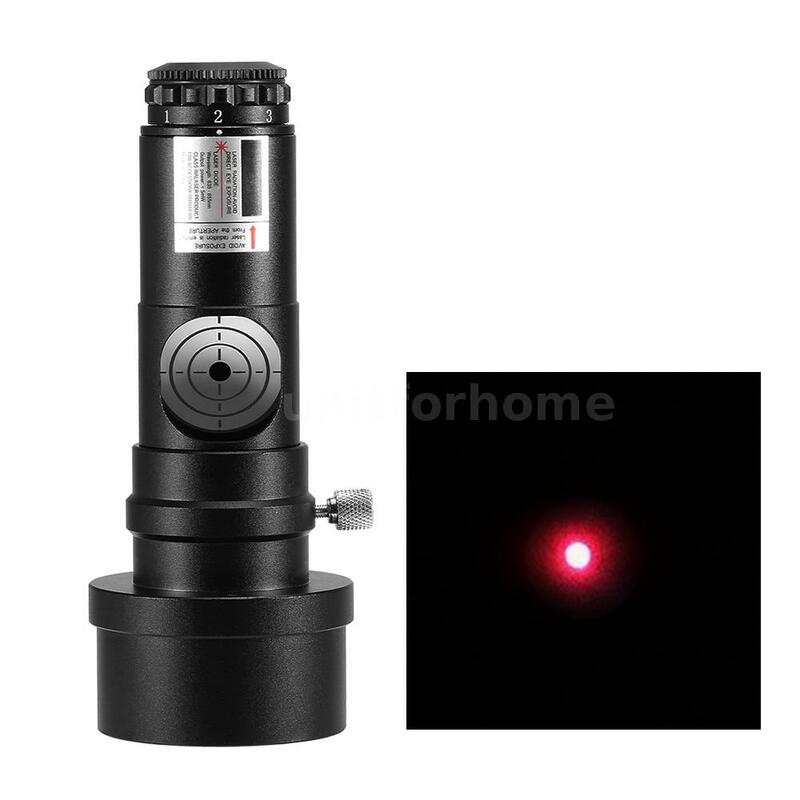 Easy to observe the target and adjust the sealed screws on the body until the red dot is centered, no need to keep looking at the eyepiece of telescope for long time. 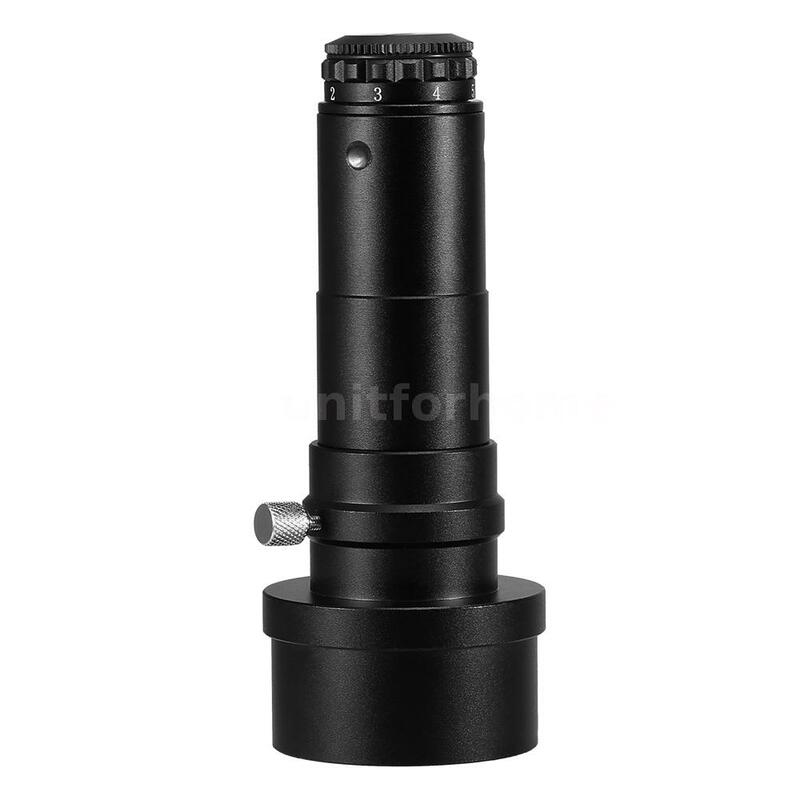 Easy and time saving to collimate 1.25'' and 2'' telescopes, come with a 2'' removable adapter. 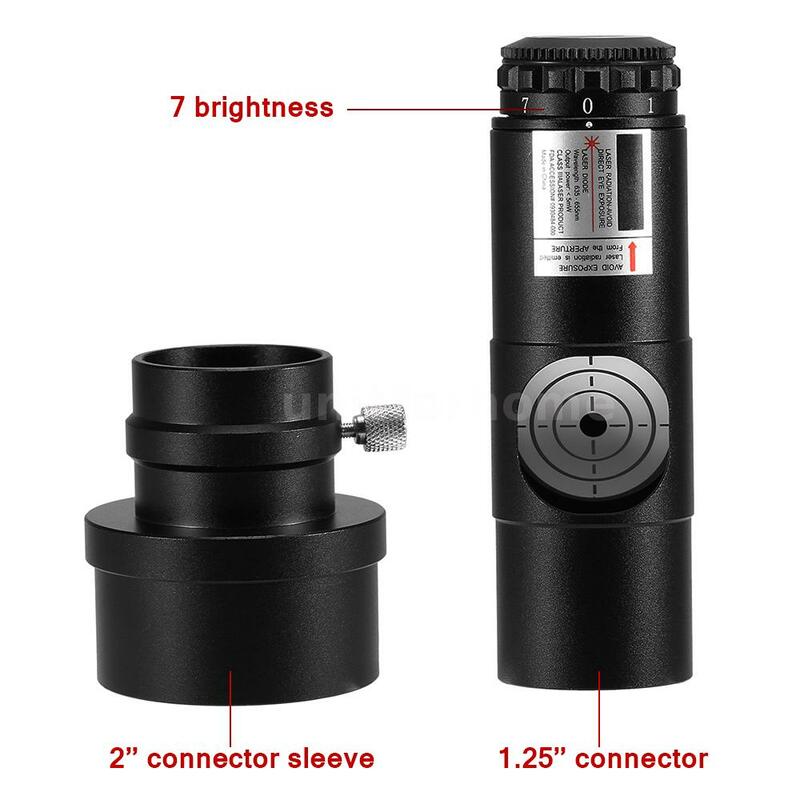 7 adjustable brightness level for amazing alignment in dark and day. 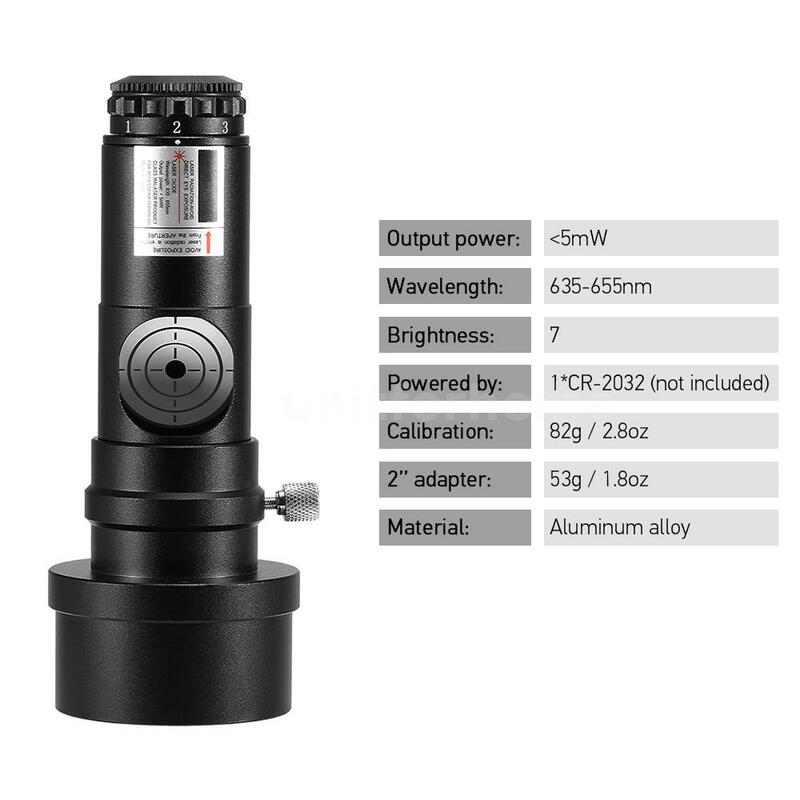 Wavelength 635-655nm and less than 5mW output power for safe use. 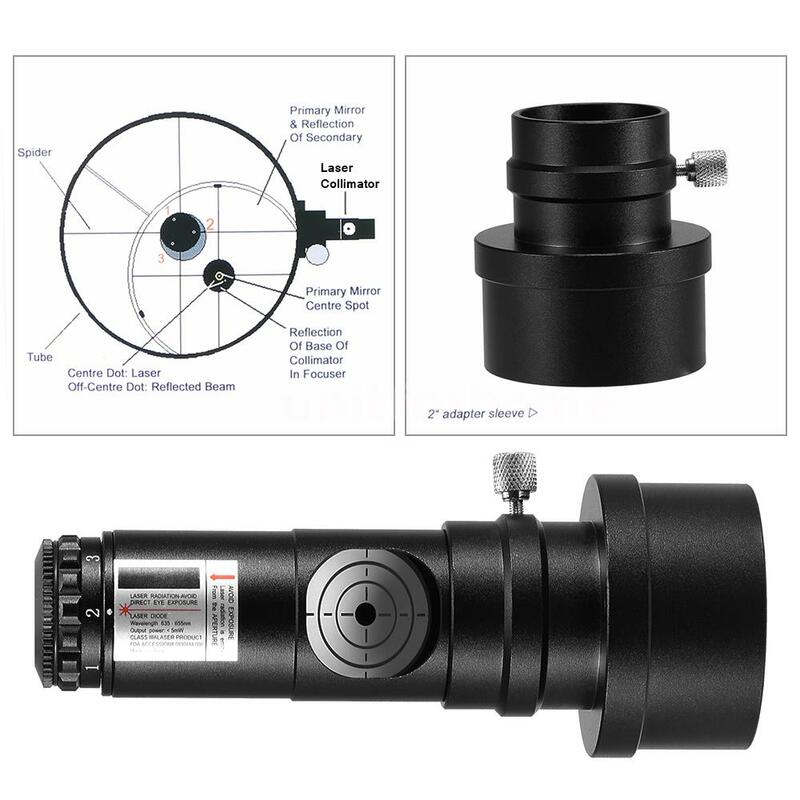 Adjust the sealed screws for easy collimation. 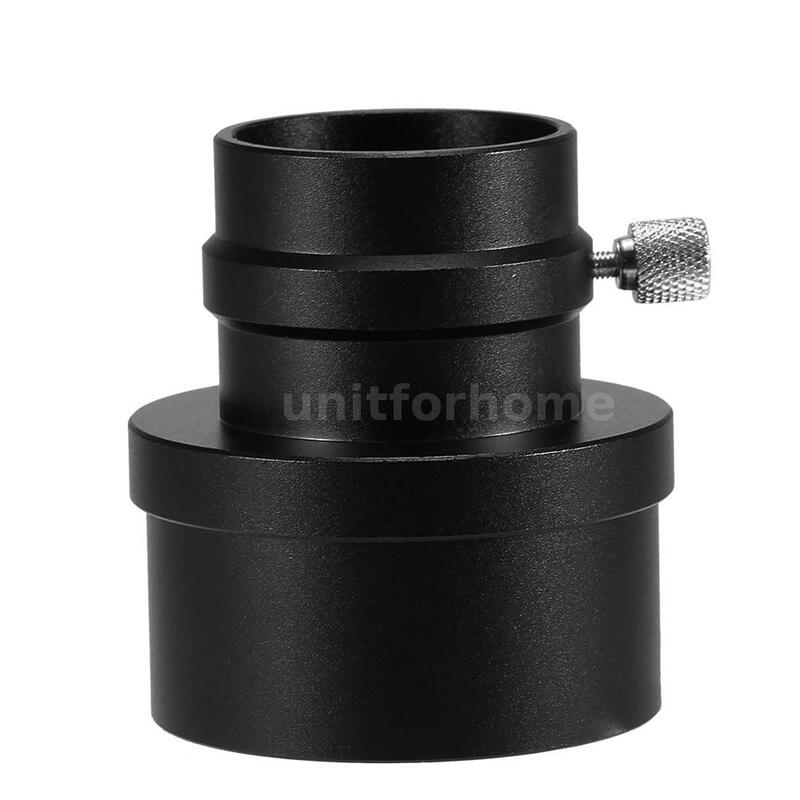 Aluminum alloy constructed for long time service. 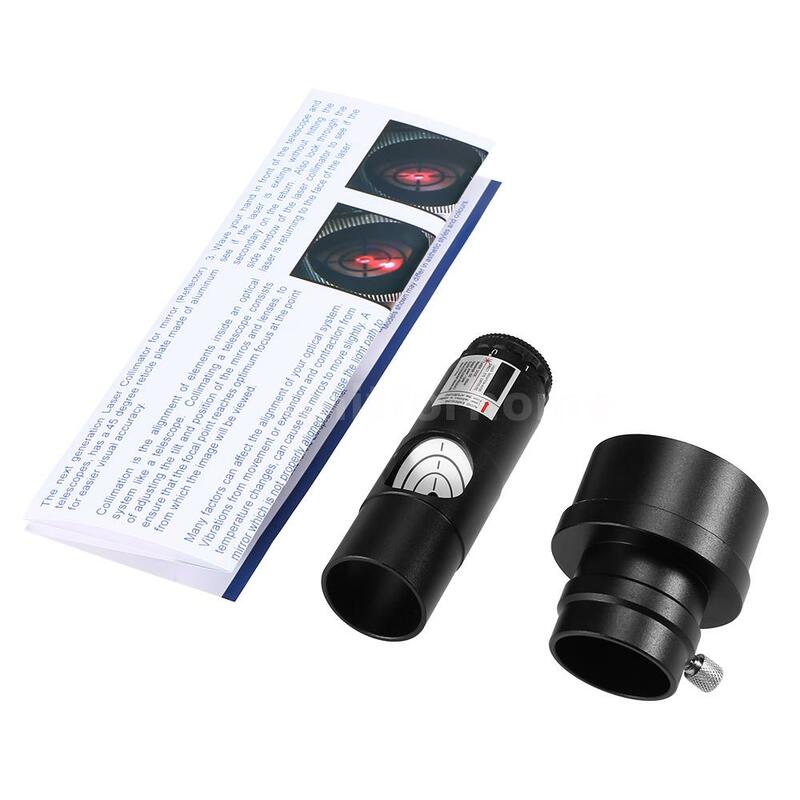 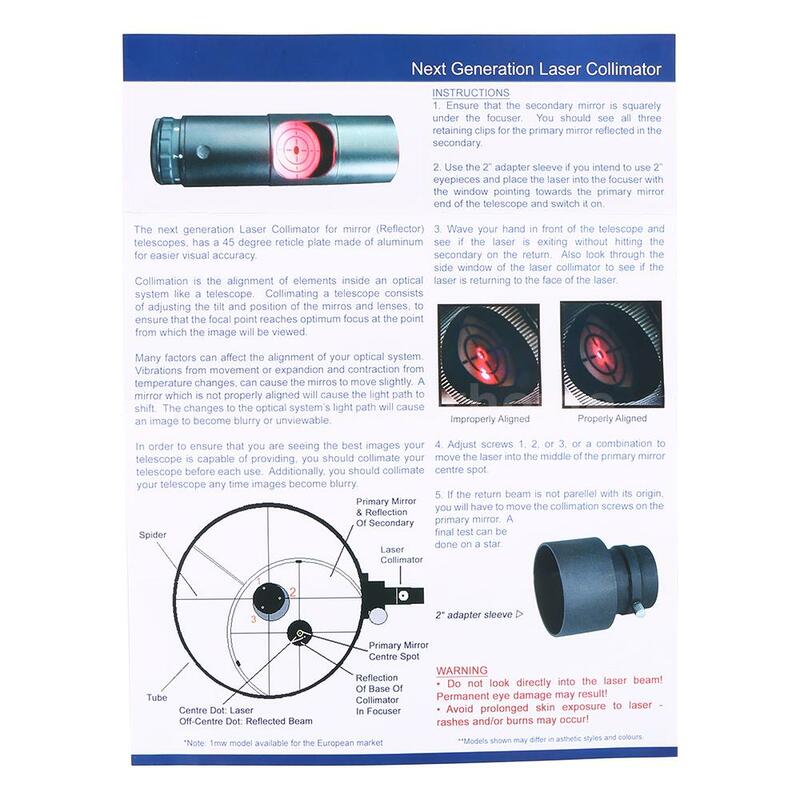 Perfect for Newtonian telescope, SCA and Reflector telescope.